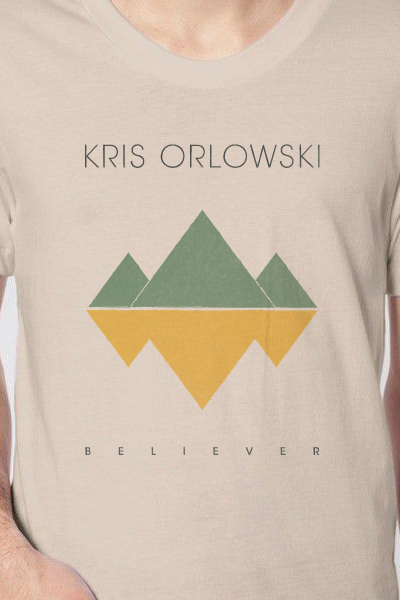 Last month Kris reached out to us about designing a couple t-shirts for him. We wanted to design something that had a classic yet modern feel. The graphic above was our interpretation of a mountain ladscape/native design vibe. We decided to keep the typography width uniform, and blow out the kerning on Believer -making a big and bold statement on top/balanced with the album title small on the bottom. For the next design, we wanted to create something that had an old patch feel. We liked the idea of including a reference to Seattle without screaming it... so the latitude and longitude were included on the graphic. We also really liked the idea of playing up the KO in his initials, creating a strong statement capping off the top of the triangle's interior. 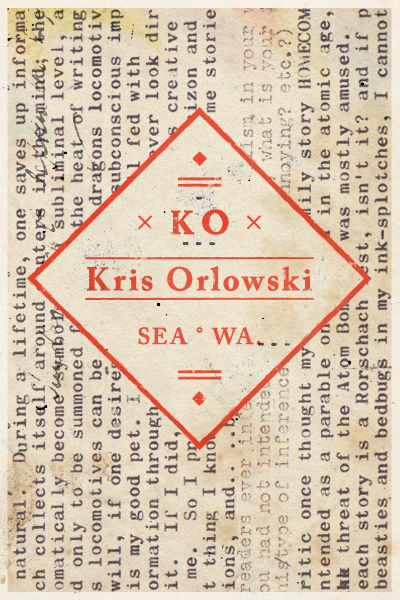 Purchase tickets to Kris Orlowski's album release show in April at the Showbox Market HERE. Kris will also be playing a FREE set at the Nordstrom downtown Seattle location this Friday (Valentine's Day) at noon by the piano. 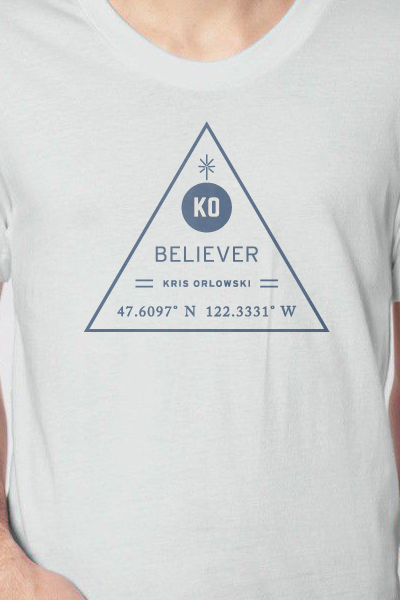 To purchase our t-shirt designs click HERE.